After experiencing severe preeclampsia and delivering her daughter Mya at 30 weeks in 2002, Dawn became a tireless advocate for raising awareness of this life-threatening condition. She began volunteering with the Preeclampsia Foundation 11 years ago and has held numerous roles in fundraising, volunteer management, and patient education and support. She currently serves as the Lehigh Valley, PA Promise Walk Coordinator (2010 to present), the Northeast Regional Promise Walk Coach (2013 to present), and the co-founder of the In-Person Preeclampsia Patient Support Group. She is inspired by bringing comfort to others who have been through preeclampsia and helping fellow volunteers reach their greatest potential. What was your experience with preeclampsia? I developed a life-threatening case of severe preeclampsia in 2002. Around 6 ½ months into pregnancy, I had unusual swelling and sudden, dangerously high blood pressure along with proteinuria. Once they acknowledged the threat, I was immediately transported by ambulance to a hospital equipped with a Level III NICU. My daughter was delivered by emergency C-section at 30 weeks (2 ½ months early) weighing 3 pounds and measuring 14 inches long. After delivery I was rushed to the Intensive Care Unit, unable to see or hold my baby during the first days of her life. In my case, delivery did not relieve the symptoms and continued postpartum. Twice, perplexed doctors arranged to discharge me too soon. I spent nearly three weeks in hospital care with a pulmonary artery catheter in my neck as they monitored lung fluids, edema, extremely high blood pressure…and tried to manage my signs of seizure and stroke with magnesium sulfate drip. Luckily my daughter thrived and came home after 30 days in the NICU. In what roles have you served? I began volunteering as a way to move through the disappointing delivery and to learn more about how my experience compared to others’ stories. I wanted to direct my time and abilities toward action that could maybe make things better in the future. I organized local walks, golf outings, and social events to raise money and increase awareness. Then I grew more passionate and was led to become involved as a key advocate – working nationally with a small team of lead volunteers and more directly with home office staff…then guiding other volunteers. In the 11 years since finding the Preeclampsia Foundation I have been on various taskforces that focused on the organization’s guidelines, re-branding, fundraising, talent management, and national Promise Walk growth. I’ve also spoken in college classrooms and at events, and attended several Saving Grace galas across the country, serving on the steering committee for the New York City Saving Grace event. I currently serve as the Northeast Regional Coach and lead Coordinator for the Lehigh Valley, Pennsylvania Promise Walk. As a trained member of the Patient Support Network, I recently helped develop and facilitate the Pennsylvania In-person Support Group – a pilot model – where patients, survivors, loved ones, and medical providers can gather directly to share and learn in a casual forum. Having the Foundation as a reliable resource, where people can be connected to a compassionate and knowledgeable network, does save lives. What is your most gratifying moment as a Foundation volunteer? The most heart-warming reward comes when someone who has had a pregnancy influenced by preeclampsia or is dealing with a loss have found some comfort in talking with me or by participating in an awareness/support event that I’m a part of. 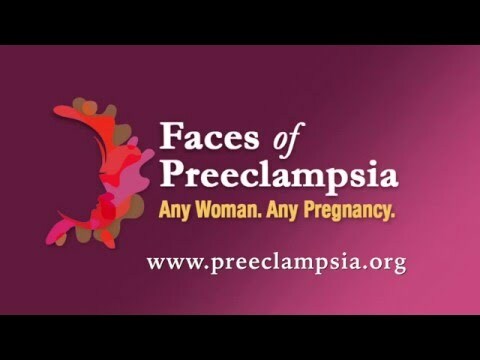 It’s also amazing when people or businesses in the community who are not connected through a personal preeclampsia/HELLP experience want to learn more and realize the importance of their support. What does it mean to you to be awarded the 2015 Hope Award for Volunteer of the Year? It means so much to be a part of efforts that are really influencing positive change – especially with my daughter’s future in mind. That is motivating even without awards or credit, but being recognized in this way is truly very special. I am grateful that others see such value in what I’m doing. And I appreciate all of the volunteers, staff, and “friends of the cause” who are also committed to making a difference together. What are your continuing goals for your work with the Foundation in the near future? I think the Foundation’s mission of support and education is critical. Despite great progress since in the years since my delivery, too often women and their families are still not aware until they are in crisis or dealing with loss. And now we also need to be careful of the increased long-term risk of heart disease and stroke for those with a history of preeclampsia. Moving forward, my goals are to continue with other volunteers to grow our Lehigh Valley Promise Walk, to increase our region’s impact, and to provide helpful experiences for those who attend our support gatherings. I also look forward to developing new partnerships with area hospitals and medical providers. I hope that with every effort we move even closer toward ensuring the most positive outcomes for all moms and their babies.